Being Atheists, my husband RJ and I think a lot about how to explain the world to our children. We want to teach them science, critical thinking, and teach them why we do not need religion. 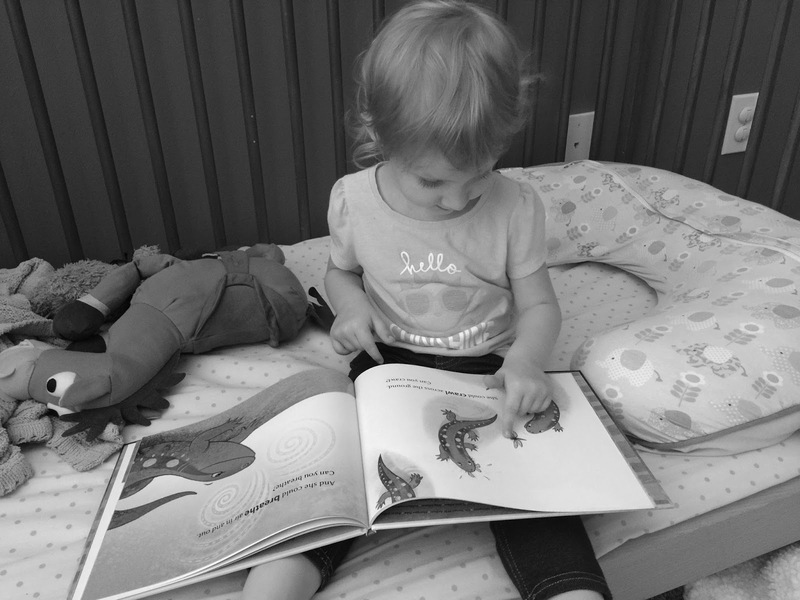 RJ took this cute pic of Rose reading "Grandmother Fish". Before science, people needed answers to questions like, why does the sun rise and set everyday? And where does it go at night? How was the earth created? How did we get here? What happens when we die? When the bible was written, people didn’t know the earth was a sphere. They didn’t know what caused rainbows. They didn’t know that the earth revolved around the sun. They didn’t know what gravity was or, a million other things that science explains today. There are still things science cannot explain but that does not mean we need to resort to a invisible man in the sky to answer questions science can’t yet. I do not know what will happen when I die, science hasn’t figured that one out yet but it doesn’t matter. Religious people worry about what is going to happen after they are dead, more than they worry about living their life. I am so happy living my life knowing there is not a God and I very well might just be worm food when I die. I do what makes me happy, and I never worry about being judged by some church leader or man in the sky. I don’t want to raise my children worrying about being judged for doing something that makes them happy. We have been looking for good ways to teach Rose subjects that are not taught in school very well, like evolution, and how the universe and planets were created. RJ found a couple books for Rose’s age group. The first one we got is called, “Older than The Stars" . It is a very simple take on The Big Bang theory, and the way the earth was formed. Rose loves it, and she really understands it. The other book we bought it is called, “Grandmother Fish ”. It is about evolution. It is amazingly well written, and Rose understands how we evolved into humans. It is Rose’s favorite book, every night since we bought it she chooses it for her bedtime story. Evolution was something RJ and I thought was very important for her to understand because I was not taught it in school. It makes so much more sense than a god creating two people out of nothing and populating the world. good pictures today. Heather was in awe. Today we went to the Tellus Science Museum. Rose and Heather had a absolute blast! The museum had a mineral gallery, a science in motion exhibit with old vehicles and space vehicles. They had a moon rock which was really cool. There was also a fossil gallery, and an exhibit called my big backyard, which was very interactive. Rose had a really good time learning and running around. 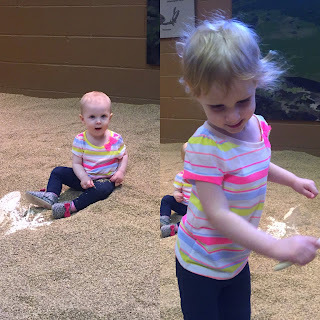 Rose’s and Heather’s favorite thing at Tellus was the Fossil Dig. I love watching Rose get excited about science. We bought a membership and plan on going as much as possible! Thanks for reading! I’m on a mission to post more often so keep a look out for more from me.